Posting in Causeview is the process of taking GL Code information within the allocation record and producing a report for accounting. Posting may be done at any time, in batches, or at the end of an accounting period. Posting is performed within the Post to Finance tab. 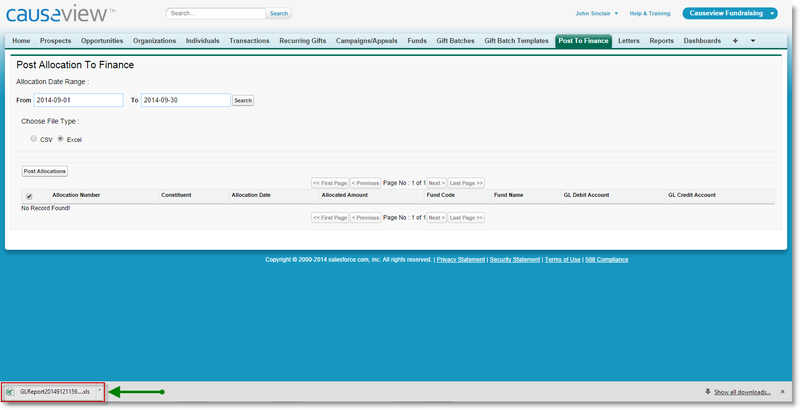 To post allocations, navigate to the "Post to Finance" Tab. If you do not see the Post to Finance tab within the tab ribbon, click on the + at the end of the tab ribbon to access all tabs. You will find the Post to Finance tab within the list of all tabs. If you still do not see the Post to Finance tab, this means you need to enable the tab first. To enable it, follow the Enhanced Fund Accounting - Configuration Guide. Specify a date range by selecting a Start and End Date and then click on "Search". Causeview will then search for allocation records where the allocation date falls within the date range you specified and where the "Posted to Finance" field on the allocation record is blank. Select all the allocations you would like to post. You may select all by selecting the check box on top of the list. 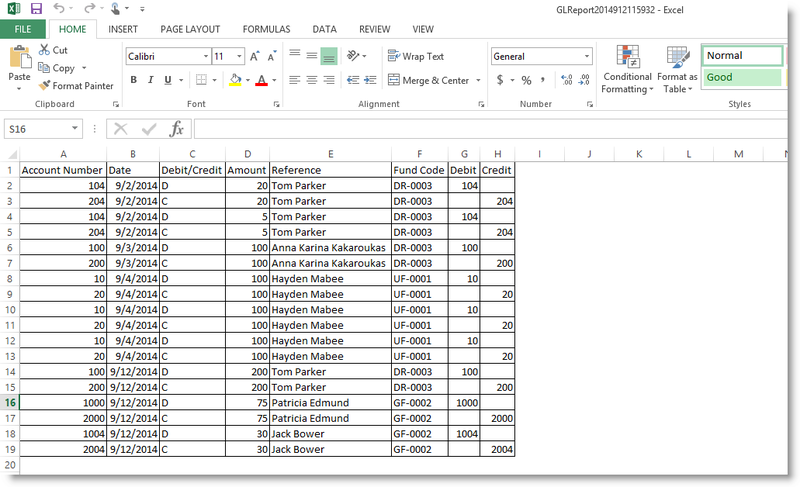 Click on "Post Allocations" to export the report. The page will refresh and will no longer display allocations that have already been posted. The report will be downloaded on your local machine in the format you specified. After an allocation has been posted to finance, the allocation record will display the date of when it was posted to finance and will no longer allow you to edit the Fund. When an allocation has been posted, you will not be able to change the Fund. 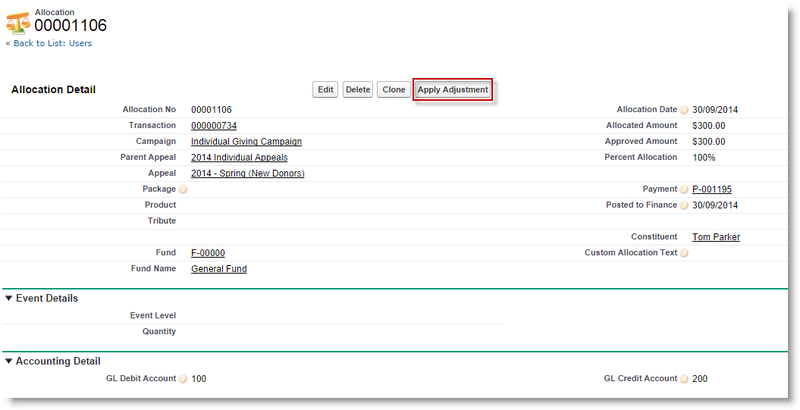 You need to use the "Apply Adjustment" button if you would like to re-allocate to a different Fund. In the allocation record, click on the "Apply Adjustment" button found on top (if you do not see the Apply Adjustment button, you need tocheck your configuration and make sure that this button is enabled). Click on the look-up icon and search for the Fund you would like to allocate to and then click on Save. If you go back to the Transaction record and view the Allocations Related list, you will notice that Causeview has automatically added a new allocation to reverse the previous allocation and has also added a new allocation record with the new fund you selected. You may now include these new allocations the next time you post to finance.